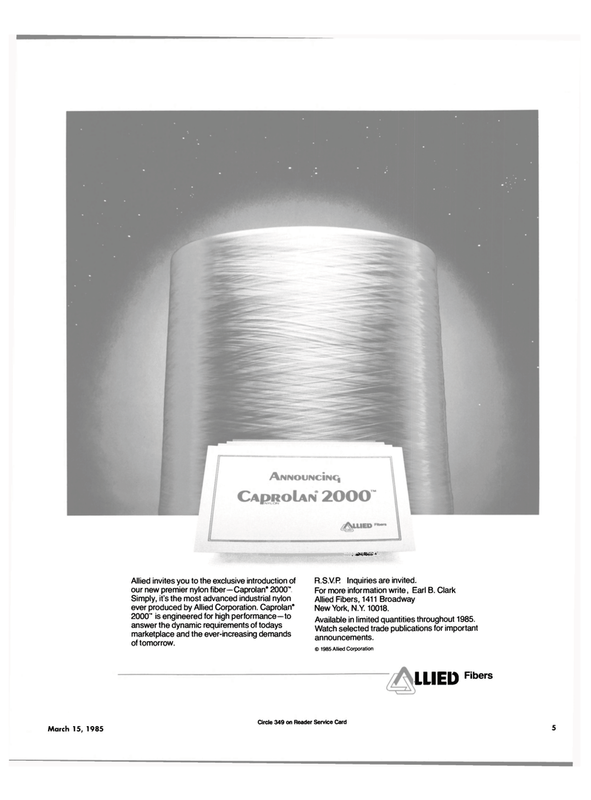 Allied invites you to the exclusive introduction of our new premier nylon fiber—Caprolan® 2000 "
Simply, it's the most advanced industrial nylon ever produced by Allied Corporation. Caprolan* 2000"" is engineered for high performance—to answer the dynamic requirements of todays marketplace and the ever-increasing demands of tomorrow. Available in limited quantities throughout 1985.